TAPS (The Atlantic Paranormal Research Society) – TAPS gained visibility with the excellent TV show “Ghost Hunters” and cover much of the continental US. They operate a nationwide “TAPS family” of recommended research teams and will refer you to a reputable team in your region. Doctor Ciaran O’Keeffe is one of the few academically-certified parapsychologists operating today. Interested in learning more about the paranormal? One of the frequent questions we get is about our name. e.g. “So a paranormal investigator is a ghost hunter?” In our case we generally investigate all paranormal claims although to date most of our activity has been in ghost hunting. Do you think your house may be haunted? We have some suggestions for you. Check them out! Paranormal Glossary – Confused about the difference between an “intelligent haunting” vs a “residual haunting”? This is the place to go. 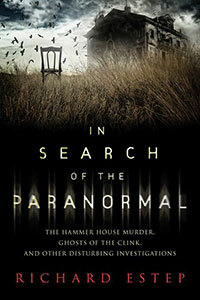 Founder Richard E. wrote up The State of the Art in 2011, a commentary on the current situation of ghost hunting.